Again no stamping for for today, just Springtime Impressions Butterfly Die Cut and Nature’s Designer paper. 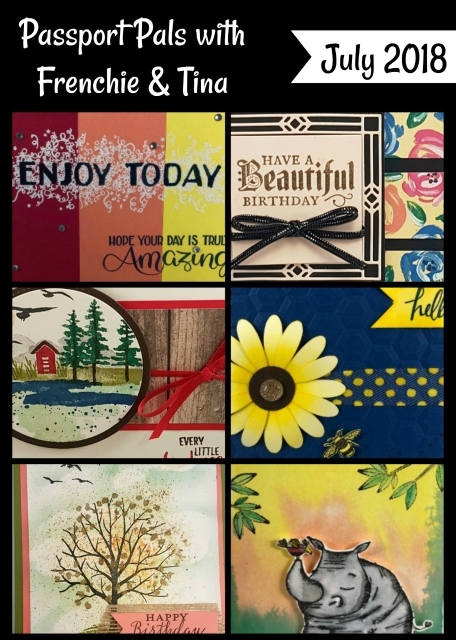 When you have beautiful designer paper many time it’s no need of stamping. The butterfly I die cut out of Crushed Curry, look like many more color but only the crushed curry that I tap the blackberry bliss ink pad randomly then I used the wink of Stella and brush over and Voila! you have different color. The wink of Stella will mix the ink onto the card stock and this is where the orange color come in, use the wink of Stella soon you tap the ink so the ink still wet and this will spread easier. Love the variation of colors. The strip of 2 x 4¾ designer paper I adhere to the strip of petal pink 2¼ x 5 then emboss it with the Tufted embossing folder. * I place my paper diagonal to get that side look. 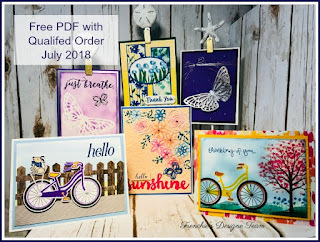 Don’t forget about the buy 3 get 1 free designer paper in this selection and you bet the paper that used today is part of the special. Stunning butterfly using this technique, Frenchie! Another way would be to use the GoldWink of Stella.